Here's Why. Mouni Roy Trends For Salman Khan's Dabangg 3. Television actress Mouni Roy will feature in a cameo in Salman Khan's much-anticipated film Dabangg 3, reports DNA. Mouni has been trending today for her reported role in the film, in which she will play one of Salman's previous love interests. "Mouni only has a special appearance, with screen time of just about 15-20 minutes. She will play one of Chulbul Pandey's (Salman Khan) previous romantic interests, who appears in the flashback scenes while Sonakshi Sinha will reprise her role as Rajjo," a source told DNA. Sonakshi has been part of both the Dabangg films and she plays Salman's wife. Salman, 52, has starred as a cop named Chulbul Pandey in the previous two films and will reprise his role in part 3. The plot of Dabangg 3 will track how Salman's character turned into Chulbul Pandey. Both the Dabangg films have been hugely successful at the box office and were produced by Arbaaz Khan (and also directed the second part). Arbaaz played Salman's brother Makkhi in the films too. Dabangg 3 will be directed by Prabhudeva. Of the possible cast in Dabangg 3, Arbaaz earlier told news agency PTI, "Sonakshi is definitely going to be there. Apart from her, even I don't know who will be there. We will cast according to the script, which is currently in development." 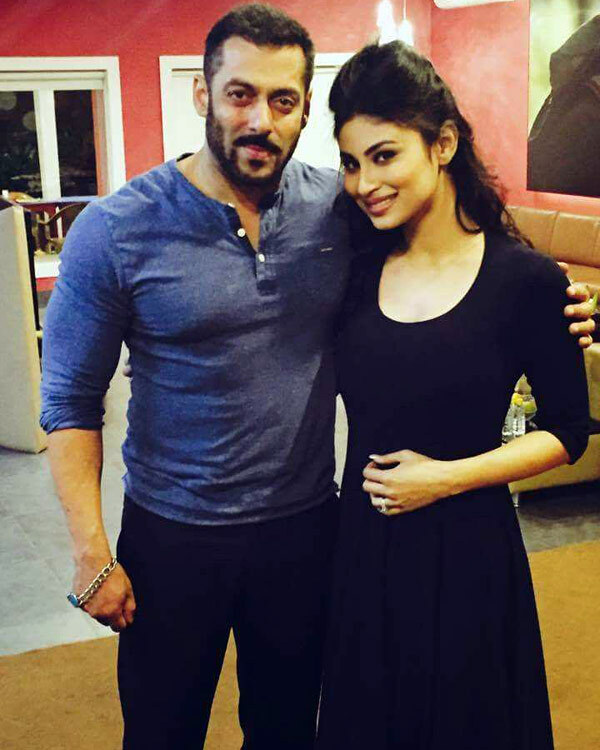 Mouni Roy has appeared in various seasons of Bigg Boss, which Salman Khan hosts. She also shot for a special promotional video for Bigg Boss 11 with Salman last year. Meanwhile, before Dabangg 3, Mouni Roy is all set to make her Bollywood debut with Akshay Kumar's Gold and she is also part of Amitabh Bachchan, Alia Bhatt and Ranbir Kapoor's three-part film Brahmastra.